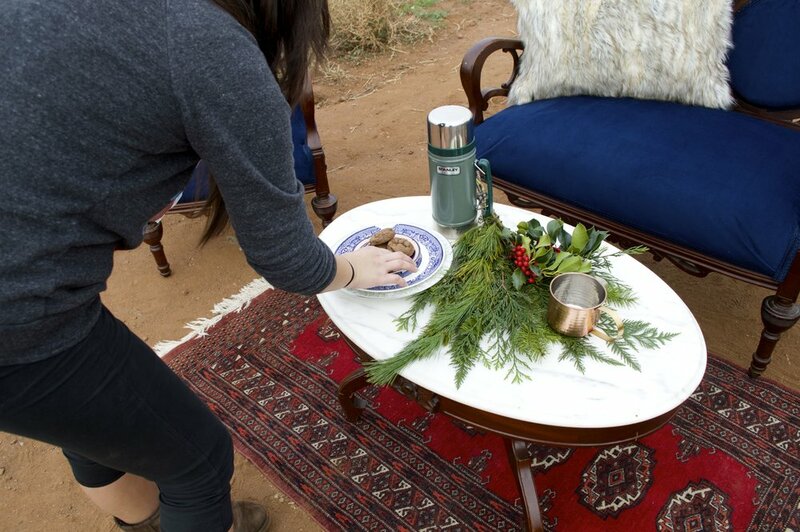 Last Saturday, we packed up our furniture and headed outdoors for our Christmas photo shoot. Hollenbeck Canyon Wildlife Area contains steep cliffs, seasonal wildflowers and oak trees, but we decided to set up near the trail entrance. A few of our pieces were heavier than most. 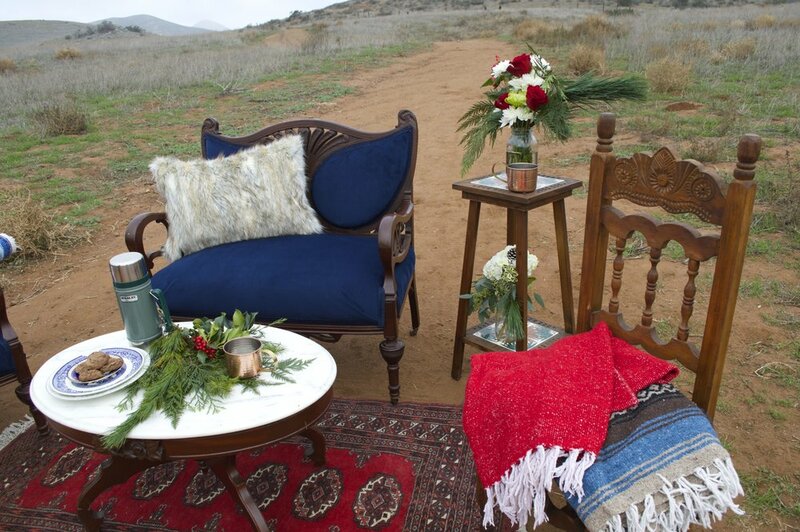 The trail brought out the deep blues and reds of our velvety Dali chair, Salvador settee and rug. Flowers from Trader Joe's were set onto the talvera table, but our personal favorite, an arrangement decked with holly, served as the centerpiece on our marble coffee table. 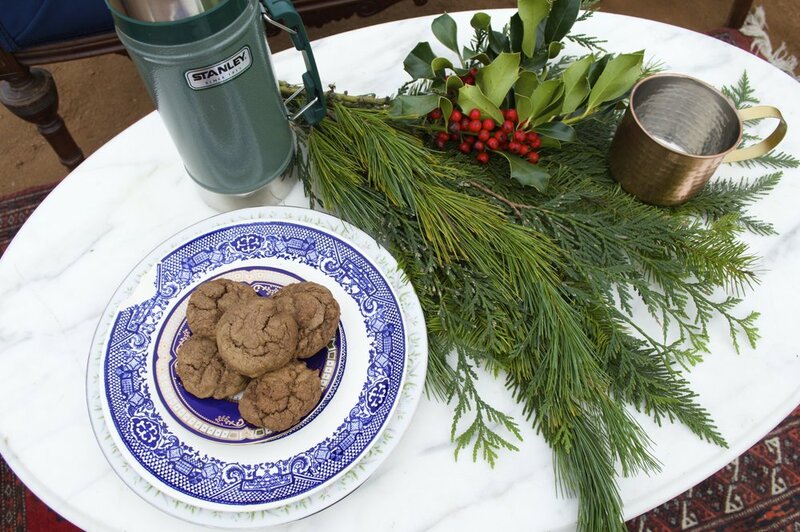 With the Mexican Hot Chocolate cookies, and hot cocoa, it invoked a festive, holiday look. Details can be just as important as furniture, which is why we made sure to bring a few Mexican blankets and a faux-fur pillow. 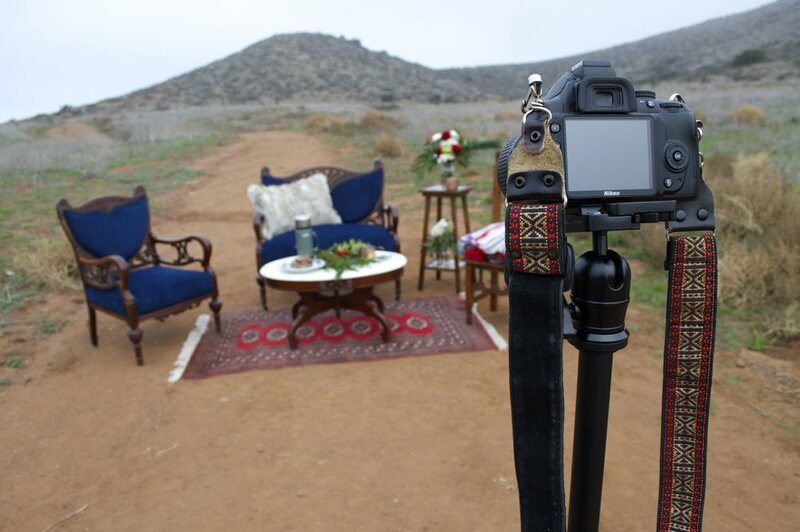 A little chaos is more likely to catch the eye than a bare set-up. See more pictures from our photo shoot below, and check back with us every month for more outside inspiration.